Making shopping fun for your kids will make shopping more fun and easier for you too! 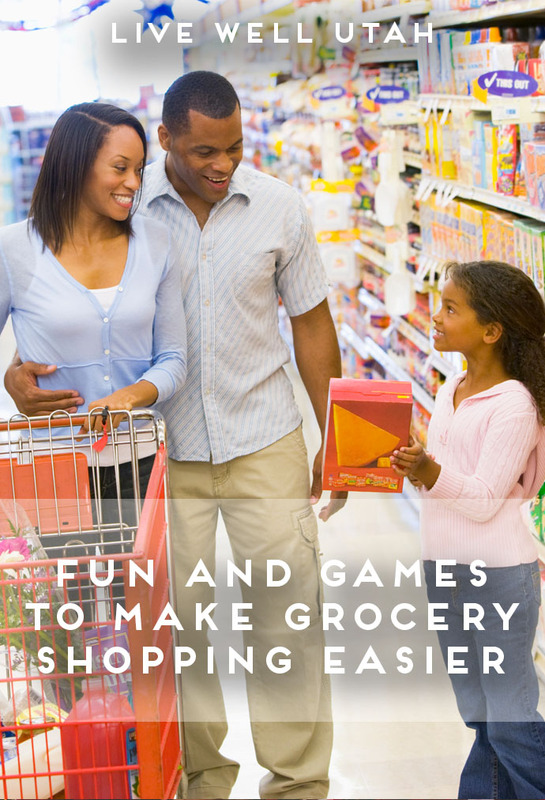 Check out these 11 entertaining and educational activities to keep kids busy at the grocery store! In our last article, “10 Tips for Surviving Grocery Shopping with Kids,” one of our tips was to give children age-appropriate activities to do during shopping trips. To help you do this, I’ve collected a variety of of parent-proven activities for all age ranges. While some of these take a little planning and preparation, it is worth laying the groundwork to transform shopping with your family from dreaded and stressful to enjoyable and painless! When young children get to help pick out produce and other items, it makes them feel like part of the team, and they are more likely to eat what they pick out, too! Make sure you give them choices you can live with, such as, “Broccoli or cauliflower?” You can also combine this activity with the matching game (#7 below) to make it more exciting. You can help your children feel important by asking them to help carry things, either while walking or while riding in the cart. They can have items they are in charge of until checkout. If you feel crafty, you might enjoy making a “grocery game” for your child to take on each shopping trip. This can be used with toddlers as well as preschoolers, or pictures can be replaced with words for beginning readers. You can find the tutorial here. Play “I Spy.” Before entering the store, let children pick out a specific color, shape, number or letter and see how many of the object they can find while shopping. Compare from trip to trip to see what things are most common in the store. Play alphabet or letter scavenger hunt. Write out letters of the alphabet (or draw shapes or colors for younger children) on a paper, and let children cross off each one they find. If this doesn’t last long enough, you can have each letter, shape or color listed multiple times. Play a matching game. Put pictures of products your family often uses on cards (you may want to laminate these for use on other shopping trips). Good sources for pictures are store ads and coupons. Let children match these cards to the products at the store. Each time they find a match, they turn the card into you. It’s fun to see how many they can match each time. Play a guessing game. Give hints about what you are going to get next and see if the kids can guess what it is before you get it off the shelf. Put them in charge of the shopping list. Make a shopping list on your tablet, phone or on paper, and put your child in charge of crossing items off as they are put in the cart. For younger kids you can use pictures for the shopping list instead of words. Have your child sort the groceries as you put them in the cart. They can sort by category, such as by food group (fruits and veggies, grains, protein, dairy/calcium), by color or by size. Let them choose categories to put things into. If you have multiple kids to wrangle, play grocery bingo! Each child gets a board and they mark off items they see as you walk around the grocery store. The first to mark off five in a row wins! Below are several options to make your own bingo cards or download free cards to print. Make bingo boards with pictures using clip art, Google image search or cutting out pictures from the grocery flyer. You can use this free bingo template. Use this site to make bingo boards with any words you would like. If you laminate the cards or put them in sheet protectors, you can use dry erase markers to mark off items and they can be used again and again. This is a great time to guide your children in learning to shop for the best deals at the grocery store. Have them help create your shopping list, using store ads and coupons if possible. Teach them how to look for unit pricing on the shelf tags at the store, as well as how to figure it out for themselves so they can do the calculations if unit pricing is missing on the shelf or not shown in equivalent units. Find a simple child-friendly explanation of how to figure out unit pricing here. These activities, along with ideas from our previous article, can make your trips to the supermarket more pleasurable for the whole family. Have fun, and maybe enjoy singing a song in the car on the way! Achieving a happy life full of meaning takes conscious effort. Choose and implement some, or all, of these factors to positively affect your sense of well-being and that of your children. 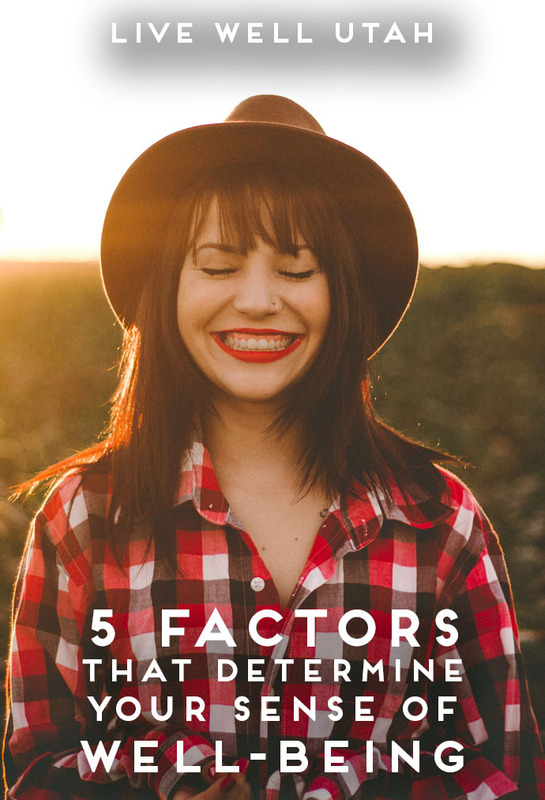 Martin Seligman, a leading professor and pioneer in the world of positive psychology, explains that our well-being, or how we are doing, is heavily influenced by five factors. These factors are outlined in, “Strong Parents, Stable Children: Building Protective Factors to Strengthen Families,” a curriculum sponsored, in part, by USU Extension. Positive Emotion. This includes feelings of happiness, peace, love, connectedness, hope and gratitude. The important part is to enjoy yourself in the moment, such as when reading a good book, spending time with family and friends or eating a bowl of your favorite ice cream. Doing fun and enjoyable things is important in life and it makes us feel better inside. Engagement. Has time ever slipped away while doing something you love? Seligman refers to this as “flow.” Doing something that brings you to a state of flow can enhance your well-being. These are activities that make you feel fulfilled like playing with your children, playing a musical instrument or using your talents to create something. Relationships. Positive relationships are at the core of our well-being. People who have positive, meaningful relationships with others are happier than those who do not have these close bonds. Keep in mind that such relationships take time and effort to maintain. Meaning. Meaning comes from belonging to or participating in a cause that is higher than ourselves. Most of us want to believe we are living and working for a greater purpose. For some, the greater purpose may be tied to spirituality or religion; for others, it is raising a family, involvement in a charity, participating in humanitarian efforts or mentoring a young person. Accomplishment/Achievement. Setting our sights on something and dedicating time and attention to bettering ourselves is good for us. This includes working hard at a skill, achieving a goal or winning a game or competition. Well-being is tied to the steps taken to achieve the goal, not just on the end goal alone. To foster this sense of well-being in your children, consider applying “Make Time for 9!” in your relationships with them, also taken from the “Strong Parents, Stable Children” curriculum. 9 Meaningful – and Safe – Touches. Children need physical contact every day to feel connected to their parents or other caring adults. Physical contact between parents and children helps create strong attachment, builds trust and is calming. The first three minutes after children wake up and see you. The first three minutes after coming home from school or an activity. The last three minutes of the day before they go to bed (reading time, debriefing, snuggling, etc.). No single interaction requires much time, but it is important to slow down, look children in the eyes and talk or ask each other questions. 9 Minutes of Conversation. Depending on age, this could be 9 straight minutes or a minute here and there. Babies need a lot of contact with their parents, including face-to-face time and talking. It is no less important to interact with teens and keep communication lines open. Go easy on the watering. In almost all circumstances, plants tolerate or prefer to have variations in soil moisture. This means that it is perfectly fine for soil to dry out moderately between irrigations. Soil that is kept overly wet reduces vigor and can actually harm plants. Watch for the signs before watering. Do not rely on a sprinkler clock or irrigation controller to irrigate lawns on a set schedule. 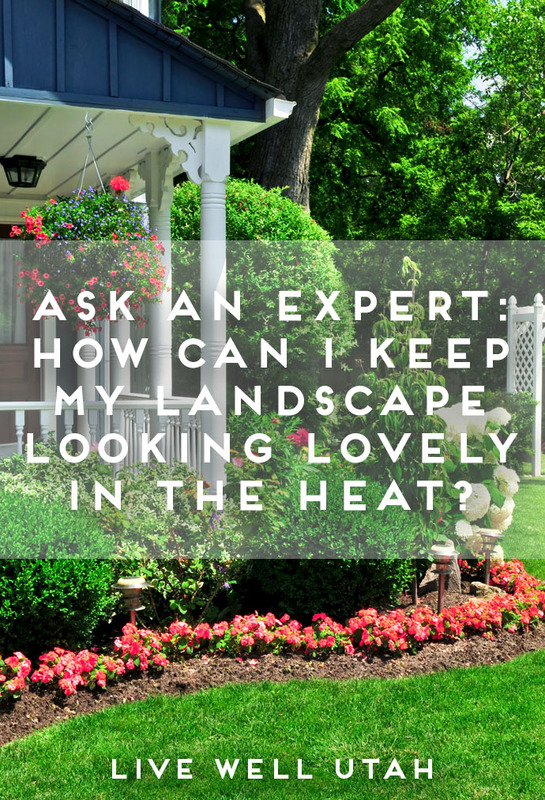 Instead, determine when the lawn actually requires irrigation and manually activate the system as needed. A common sign of drought stress in turfgrass is grass blades not quickly springing back upright when walked on, leaving a trail of footprints in the lawn. Additionally, walking on a lawn barefoot can let you feel how dry the soil is. Relatively dry soil under the grass is hard, does not “give” when stepped on and is slightly uncomfortable to walk on. Wetter soil depresses a bit when weight is applied. Choose the right time to water. Do not water between 10 a.m. and 6 p.m. During this period, up to 50 percent of water emitted from sprinklers is lost to evaporation. Instead, irrigate when the sun is down or low in the sky. Small areas of the lawn can brown during hot weather because of variations and inefficiencies in sprinkling systems. Instead of increasing the amount of time the entire sprinkling system irrigates, supplement water to the brown areas with a small hose-end lawn sprinkler or water by hand with a hose. Don’t cut the lawn too short. Mow the lawn to a height of at least 2 inches. This allows roots to penetrate deeper into the soil and increases overall drought hardiness. When irrigating turf, water long enough for the water to penetrate 6 to 12 inches into the soil. This encourages deeper root development and reduces the frequency of required irrigations. Adjust watering based on sun exposure. Irrigate shady and sunny areas according to need. Shady areas require much less irrigation than sunnier areas. Cover bare soil in the garden and flower beds with 2-3 inches of mulch. Not only does this save water, it greatly reduces the need for weeding. Inexpensive mulch can be obtained from many local green waste recycling centers. Grass clippings also work well and are free. Hand water or use drip irrigation for flower and garden beds. Hand-water or use drip irrigation to irrigate flowerbeds, vegetable gardens and shrub beds. Water should be placed near plants and penetrate the soil 6 inches deep for flowers and veggies, and 2 feet into the soil for established trees and shrubs. Looking for some professional help with your finances? 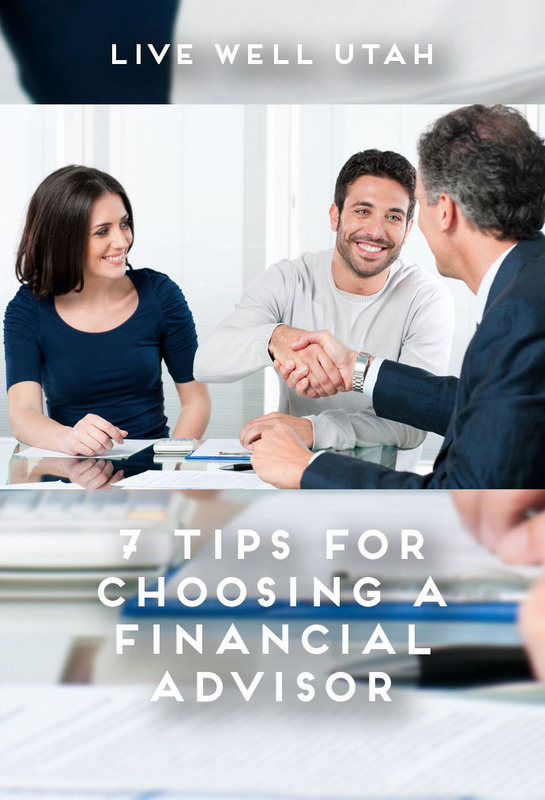 Try these tips to help you choose a financial advisor. There are many financial professionals willing to answer money-related questions: Where should I invest? What should my portfolio look like? How much do I actually need to save for retirement? These are all great questions, but not every financial advisor will provide the same advice. So, who should you trust to give you answers to these crucial questions? First, determine what you need. Are you trying to prepare for retirement, get out of debt, accumulate wealth or just get some tax breaks? Further, are you looking for one-time advice or do you want ongoing assistance? The American Association of Retired Persons (AARP) website includes “Seven Steps to Take When Choosing a Financial Advisor.” Below is a summary. Additional information is available at aarp.org/money/. Do a credential check. Make sure a prospective financial advisor has current credentials and hasn’t been disciplined by a regulatory authority. The Commodity Futures Trading Commission lists the major regulators online at smartcheck.cftc.gov. However, brokers can get negative marks removed from their records, so just checking the site may not be enough. To learn about advisors who sell insurance products such as annuities, contact your state’s division of insurance. Beware of performance promises. Many advisors use the success of their past returns as a selling point, but past performance is no guarantee of future gains. Make certain they discuss current practices and steps they take to avoid financial ruin for clients. Ask for recommendations.If the advisor refuses or can’t provide them, consider walking away. Local advisors typically have local customers. Also, talk to people you respect and ask who they use. Get it in writing.Ask your advisor to put in writing why an investment is best for you. Many advisors also provide an investment policy statement, which outlines how he or she will meet your investing objectives. Know what you’re buying.Don’t be afraid to ask questions. If your advisor can’t explain an investment to you in terms you understand, don’t buy it. Remember – there’s no free lunch.If an advisor promises returns that are much better than the market average, walk away. If it sounds too good to be true, it probably is. In addition to these tips, University of Illinois Extension provides a list of questions to ask a financial advisor, and suggests you interview at least two people. Visit web.extension.illinois.edu/financialpro/interview.cfm for information. 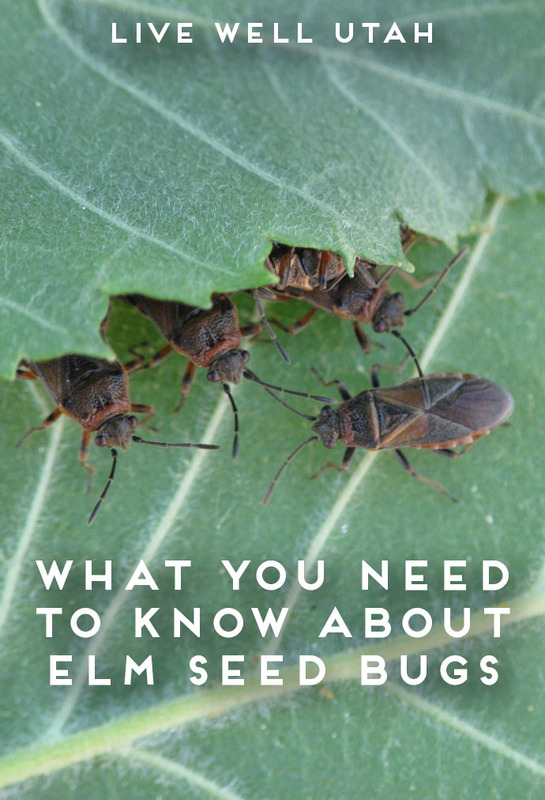 Now that summer is in full swing and gardens are producing in abundance, you may be wondering what to do with all you have harvested. 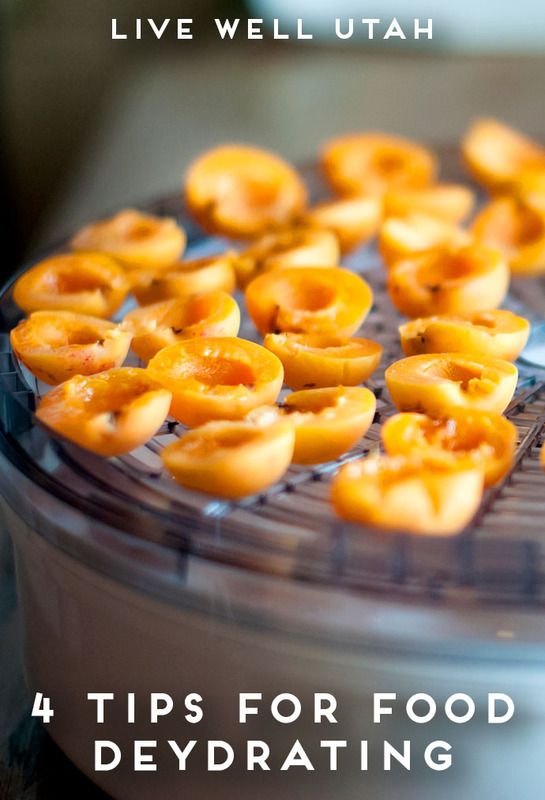 Maybe you’ve tried freezing, or even even canning, but what about dehydrating? Try these tips for dehydrating, and preserve some of that summer harvest for later use. Dehydrating foods is a great way to save foods that you have in surplus, such as fruits and vegetables, for later use. If you preserve your own food regularly, you may already be familiar with how dehydrating works. But if you’re like me, you’re only experience with dehydrated foods might be store bought banana chips from your childhood! If this is the case, dehydrating might seem a little daunting. But have no fear! Here are some tips to get you started. I had zero experience with dehydrating food when I set out to use the dehydrator. I was a little nervous that I’d ruin the food. But here’s a secret- it’s not hard! There isn’t much you can do to ruin the food you are dehydrating. If it’s not dry enough, simply leave it in longer. If you accidently dried it too long, add it to a little water to gain a small amount of moisture back. Dehydrators are easy to use and set up. Following the instructions that come with the dehydrator will help you to get started. The machine will take up little space, has a quick set up and a quick clean up. Once you have prepped your food and placed it in the dehydrator, all you really need to do is wait. Most foods dry at 140º F, but you can visit the National Center for Home Food Preservation website or read So Easy to Preserve from The University of Georgia Cooperative Extension to find different charts showing temperatures and times for dehydrating foods. USU Extension also has an old– but great!–handout on dehydrating, Home Drying of Foods. Bananas dried wit no pre-treatment. Fruits and vegetables should be washed, cored and sometimes peeled before dehydrating. Almost all vegetables need to blanched to inactivate the enzymes that break down color and flavor during dehydrating. Fruits can be sliced or halved; some can even be left whole to dry. If you slice or cut your food up, remember to cut as evenly as possible. If the pieces are different sizes it could prevent them from drying at the same rate. Food that is cut into thin, uniform pieces will take less time to dry. Blanching is another way to speed up the drying time. When you blanch a fruit or vegetable, it can soften the outer layer which will allow the moisture to escape faster. After blanching grapes, I was a little concerned to see some of the grapes had changed color. But this is normal. So, if there is some color loss after you have blanched your food, don’t panic! Some fruits, such as apples or bananas, brown when exposed to oxygen. This can be prevented by using a pre-treatment, such as dipping the pieces in lemon juice or an ascorbic acid mixture, to stop the enzyme that causes this reaction. Pre-treatments are not required because this browning does not affect the flavor of the final product, however it can change the look of your final product. It is important to arrange the food on the drying tray properly. Make sure the pieces do not overlap or touch, as this could cause them to dry unevenly and stick together. There also needs to be room for air circulation, so make sure not to overfill the drying tray. The amount of food you can put on a tray will vary. I fit about two sliced bananas per tray, but this could differ depending on the size of the tray or even the slices. Vegetables prepped for vegetable leather. Don’t limit yourself! While fruit is the most common food associated with dehydrating, you can dehydrate much more than fruit. Both fruits and vegetables can be dehydrated to be used for snacking on or cooking with. They can also be used to make fruit leathers, as well as vegetable leathers. You can find simple recipes to make these, or even get creative and experiment to make your own…whatever you are most comfortable with! Meats can be dehydrated as jerky. This can be done by following a jerky recipe or could simply be done by using pre-cut salami to make ‘chips’ for snacking on. Even herbs, such as basil or oregano, can be dried out, packaged and stored. Remember to be patient. Different foods will take different amounts of time to be completely dried; some might take a few hours, while others may take a few days. Allowing the food to take as long as it needs is important to ensure it can be stored safely. The time will be well worth it once you have your delicious food, whether you choose to eat it right away or save it for later. Get a water bottle or cup that you’ll actually use. Choose whatever suits your style. Carry a water bottle with you and keep it at your desk. Refill it whenever you’re near the water cooler or fountain. Use an app to track your water consumption. Apps like Plant Nanny make drinking water feel like a game. 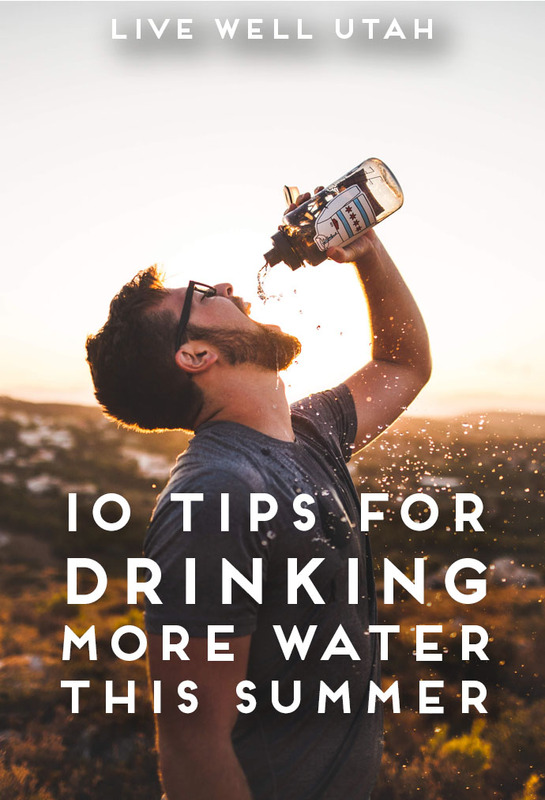 Apps such as iDrated and WaterLogged are also great resources to help remind you to drink. Invest in a water filter (or a filtered water bottle) if you don’t like the taste of tap water. Opt for water. Replace sugary drinks such as soda and energy drinks with water. It’s zero calories and you’ll save money. Use a marked water bottle that shows how much you’ve consumed throughout the day (or make your own!). Add fresh fruit to your water to give it some flavor. Set reminders for yourself to drink at certain times of the day (i.e. before every meal or after every bathroom break). Keep a glass or water bottle by your bed for easy access during the night. Set a realistic goal for yourself. If you’re only drinking two glasses a day now, don’t jump directly to a goal of eight glasses. Start small and you’ll improve little by little. Planning a family reunion? Try these meal ideas to feed a large crowd using safe food handling techniques. Because our extended family has extended throughout the country, our family reunions extend as well. Last year 66 of us descended on Oriental, North Carolina. It was wonderful! The last thing any of us wanted to do was spend time making food, but an army travels on its stomach! The first day of the reunion when everyone starts gathering, people often arrive at odd hours. An easy meal to accommodate this is a large taco salad bar. The taco meat can be kept warm in crockpots on low, as well as the corn. The rest of the ingredients are not temperature sensitive and can be in covered containers on the table. Our next day called for a beach picnic—the ocean was an hour away, but after traveling across the country from Utah, what’s another hour? We made sandwiches to take to the beach, and to finish up the lunch, we had 80 boxes of juice, 75 bags of pretzels and chips, 1/2 a box of apples and 40 clementines.Cut and wrap sandwiches well, then put in coolers of ice to keep everything at a safe temperature. Remember, this was for 66 people, with a fair amount of teenagers among them! Directions: fry ground meat, drain, then add ketchup and seasoning mix and water. Heat up the beans and add to the meat. Put in crockpots on low. Be careful you don’t overload any electrical circuits—you may need to spread the crockpots around to different plugs. Put the toppings — except for the corn — in medium-size bowls and keep the bowls filled as they empty. That way the vegetables will stay crisp in the refrigerator while the diners ebb and flow. Slice the French bread horizontally through the loaf, spread Miracle Whip (or Mayo) on one side of the loaf, and mustard on the other. Layer the cold cuts, lettuce, tomatoes and pickles (or tomatoes and pickles could be kept in separate containers and people can add them later). Put the bread back together, slice it vertically into 8 sandwiches, then wrap four or five times with clear plastic wrap. 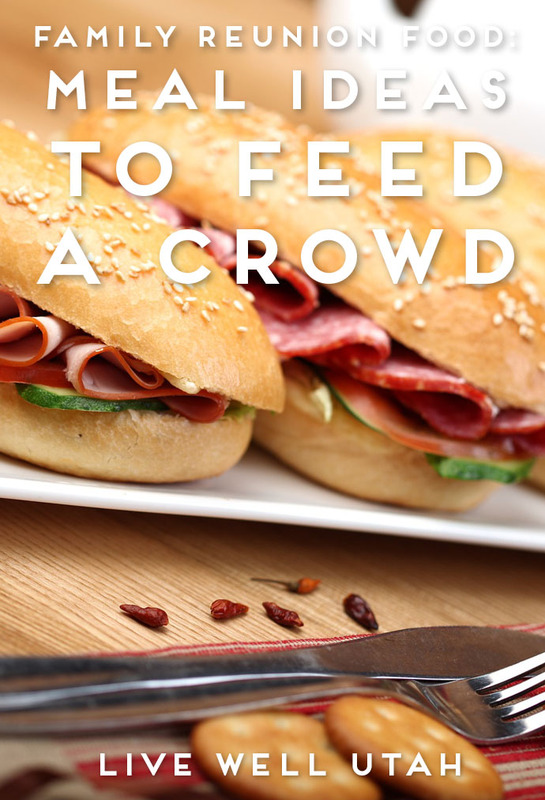 Get the large, industrial roll of plastic wrap: it’s wider and easier to handle with a crowd. Make sure the sandwiches won’t get wet while in the ice. 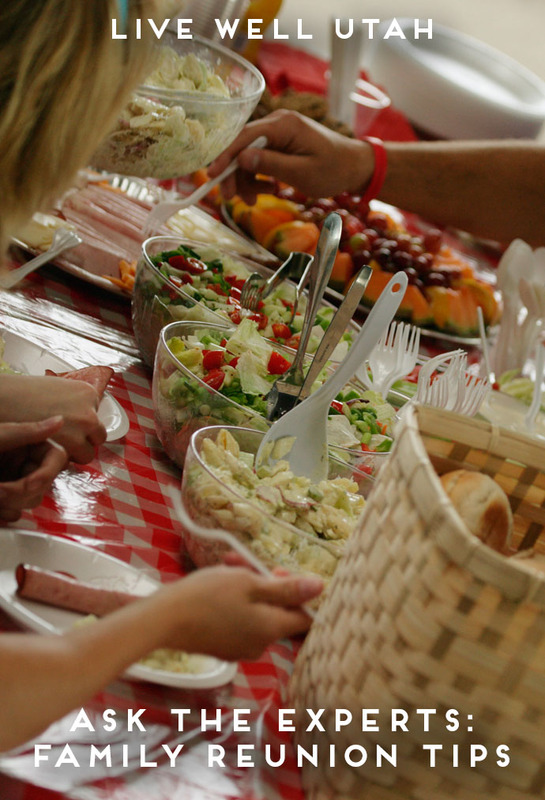 Draw the short straw on family reunion assignments and are suddenly faced with preparing food for the multitudes? Here are some tips from USU Extension family and consumer sciences faculty to help ease the pain. I make sure all food is well chilled and packed in a cooler if I’m traveling. Rather than mixing everything together and trying to keep a large container cold, I keep individual ingredients for a salad packaged separately to keep them cold. I pack the dressing separately, then combine it all in a large bowl when I arrive. I make desserts that are not temperature sensitive, such as brownies without frosting (I just sprinkle powdered sugar on top), Rice Krispy treats, cookies or fresh fruit with a fun dip. With meat to be served cold, I keep it well chilled. If keeping it hot, I use a crockpot or a casserole container that can be placed in an insulated bag. Dutch oven meat, vegetables and desserts are a favorite, and since they are generally cooked on site, there is no worry about the food sitting in the danger zone too long. Make sure hot food stays hot and cold food stays cold. Place bowls of ice or ice water under salads, etc., and use heat packs or slow cookers for the hot stuff. Make sure food gets put away quickly. That’s a thing in my family that worries me–we all wander away and leave the food out. When making food ahead of time, don’t put super-hot foods in the fridge to cool when they are in very large bowls or pots. Separate for faster and consistent cooling. Even if you’re boiling or (otherwise cooking) whole potatoes the night before and plan to finish prep the next day, make sure they’re properly cooled and then refrigerated until you use them. When we talk about C. bot requiring an anaerobic environment, remember that includes microenvironments. One last food safety tip from the USDA: Use a Meat Thermometer! Meal-in-a-bag — Pre-bag the entire meal for each person, and they can eat right out of the bag with no fuss or mess. This works well for something like taco salad. You can also put raw ingredients, like omelet fixings, in a bag and then cook the bag in boiling water. The meal is already served out and people just need to pick a bag. You have to have homemade root beer with dry ice. If serving homemade ice cream, let family members twist the hand crank ice cream freezer or roll the ice cream in a can or bag. You will need a #10 can with a tight-fitting lid. Inside that, place a smaller can with a tight-fitting lid filled with the ice cream mixture. Add ice and rock salt and put the lid on and tape it with duct tape. Then roll it on the cement if it is in a shady place (sunny, hot concrete will slow freezing) or in the grass for about 15 minutes. Take lid off, take off lid of small can and stir down ice crystals and repeat the process until ice cream is firm. Buy food in amounts that are easy to handle. It may be cheaper to buy a 20-pound chub of ground beef, but have you ever tried to defrost 20 pounds of ground beef in order to use 5 pounds for the taco salad that night? Have a sign-up sheet — everyone eats so everyone helps! You make the menus, you buy the food, you provide the recipes, but the point-of-contact labor force is the whole reunion population. Keep the menus very, very simple. It doesn’t mean it has to taste bad, just that it has to have universal appeal. Meals like Hawaiian haystacks where people have an array of topping choices to put on rice make life easy. Rice will feed everyone, and people can choose what they would like to add to it. Mix olive oil, red wine vinegar, lemon juice, salt and pepper in a small bowl and set aside. Combine all other ingredients and pour liquid mixture over and stir. Chill or serve immediately. There you have it, folks! Tips from family and consumer sciences faculty from around the state. Obviously, what worries us most is KEEP YOUR FOOD SAFE! Don’t let a reunion memory of a fantastic family meal be spoiled by a food-borne illness report to the Centers for Disease Control afterward! What do you really need to know about food recalls? Find out what they really mean, what to do if you have a recalled product in your pantry or fridge, and how to keep your family safe from food-borne illnesses. Another recall hits the news: is any of the food we eat safe? Not to worry! These recalls ensure our national food supply continues to be the safest in the world. To put it into perspective: There was a massive cheese recall in February of 2017, of cheeses made in a plant that tested positive for Listeria monocytogenes. The recall affected all cheeses produced in the plant from November 10, 2016, through February 9, 2017. Roughly 3,640,000 pounds were recalled. However, nearly a BILLION pounds of cheese is produced in the United States per month. So, out of the 3 billion pounds of cheese produced during the same time period, only 0.1% (or, 0.001213) of the cheese was recalled. Something is missing or incorrect on the label, such as an allergen alert. A manufacturer reports a problem they have found in their own product. Government inspections uncover contamination of some sort in a food product of a food processing facility. Someone reports a foodborne illness to the Centers for Disease Control (the CDC) that is then traced back to its source. Our government takes food safety very seriously. Manufacturing plants have long lists of “Critical Control Points.” These are steps in the manufacturing process where a specified time and temperature must be regulated. They are checked frequently. Batches of foods are labeled for tracking, and records are kept as to what batches went where in the world and nation. Quality assurance scientists have chemical tests to run on each batch to ensure safe food. 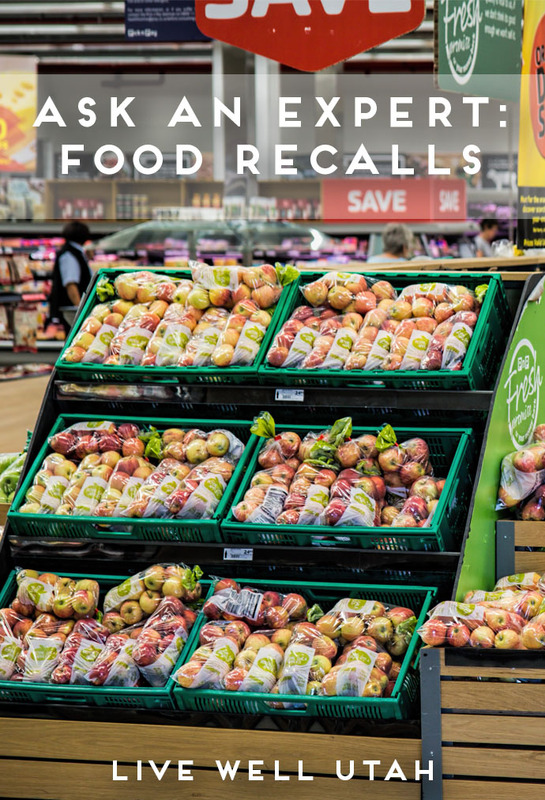 When a recall does occur, there are records that trace the entire physical pathway of the food product so the “bad” food can be found. What can we do to be a savvy consumer in the face of these recalls? Be aware of recalls. If it is something you typically purchase, check your pantry and throw away or return the product. Practice basic, practical food safety: clean, separate, cook & chill. Clean: keep you, your food, and your kitchen clean. Separate: keep raw meats and poultry separate from ready-to-eat foods—in your grocery cart, on your counter preparing food, and in your refrigerator. Cook: cook food completely. The internal temperature for poultry and ground products is 165 F; whole cuts of meat and pork internal temperature should be 145 F.
Chill: Keep foods out of the “danger zone” of 41 to 135 F. Bacteria develops rapidly when foods are left at normal room temperature longer than 2 hours. During the summer months in particular, don’t wait even an hour before getting things refrigerated! So, what should you “recall” about food recalls? That we have government regulations protecting us, and companies doing their best to follow the law and ensure their product is safe!